The Wild Pack Band: Wild Pack Rocks Baja Cove - Friday! Wild Pack Rocks Baja Cove - Friday! 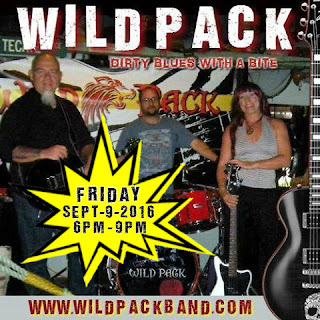 Get your booty movin' to see to see Wild Pack play LIVE Friday, Sept. 9, 2016 at The La Marina Restaurant in Punta Banda on the Baja Cove.